The Youth X Room Ages 7–14 yrs. The Youth X Room offers exergaming that engages kids and teens through their virtual world to get them moving. Using similar concepts of gamification found in video games, kids won’t even realize they are working out . 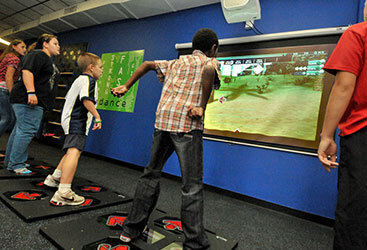 Seven to 14-year-olds are too old to be in the Exergame Playground or day care area, but too young to be in the main fitness areas. Whether they are athletes or not, they still need a place to call their own at your club. 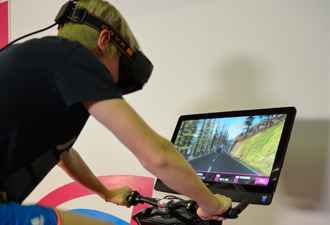 Enter the Exergame YOUTH X Room, a room specifically designed for kids ages 7–14. This concept room is customized to fit the new model of social interaction, movement, and engagement. 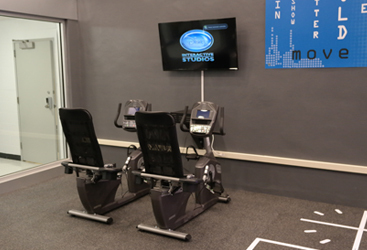 It comes fully equipped with interactive fitness devices that are not only gamified, but have proven fitness methodology behind them. 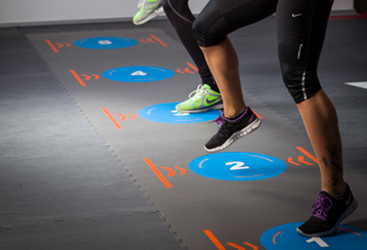 These exergames are strategically put in place to balance out a fitness program and can be used in circuit style group classes. 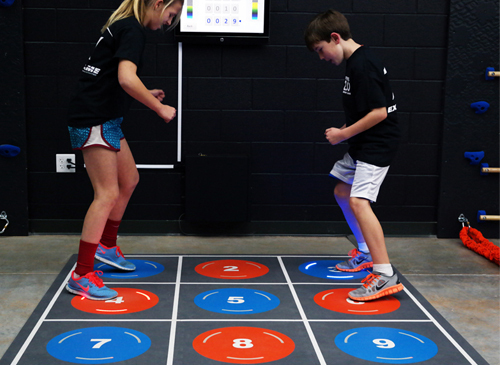 Engage kids and teens with a room of interactive fitness equipment that changes how they think about and approach being active! 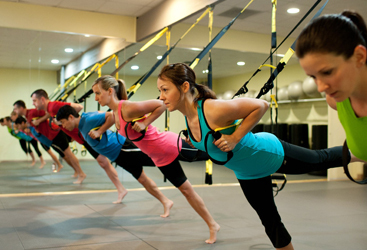 We use a proven fitness methodology combined with programs and circuit style group fitness activities. This helps drive and develop social interaction, movement and engagement at a young age. Certified technicians, local support, preventative maintenance, extended warranties. Also, marketing support for pre and post launch, banners, posters, flyers, t-shirt / apparel designs. Online portal with Workout of the week (WOW), Program Plans, and Challenges. 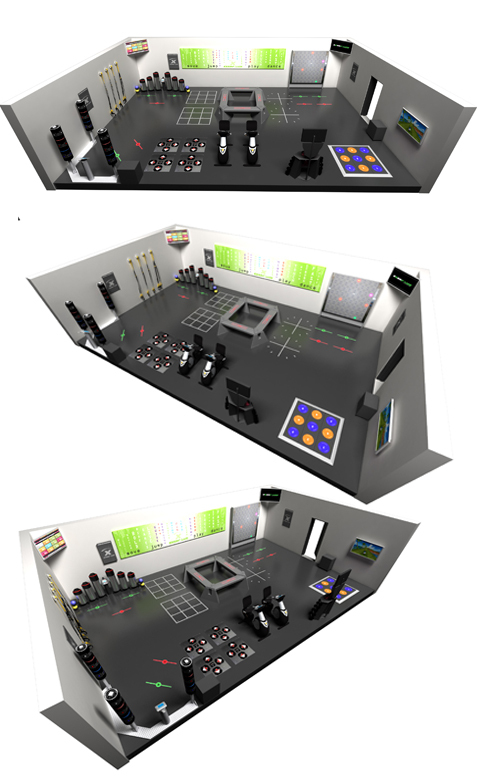 Colorful room graphics, optional upgrade for floor, lights, sound, video. Reward programs, data tracking, exergame scoreboards, exergame scorecards. Like all of our other room solutions, we offer fully customizable rooms. Down to the placement of the wires and equipment to the flooring and wall space, we can help match your exact needs! 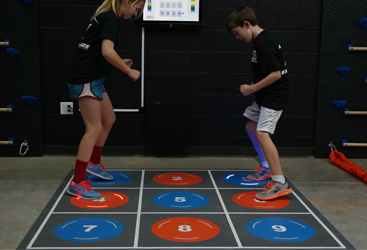 iDance is a fun and challenging group exercise dance game of visual perception and physical skill. Simple to learn. Exciting to play! A fresh alternative for full body strength & cardio workouts. How fast can you grab the ball, find the lighted tube, & drop it in? Punch and Kick For A Seriously Fun Workout! 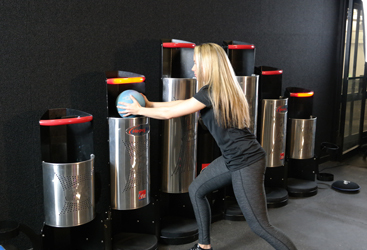 3 Kick is designed with foam pads that can be punched, kicked, slapped, or tapped. 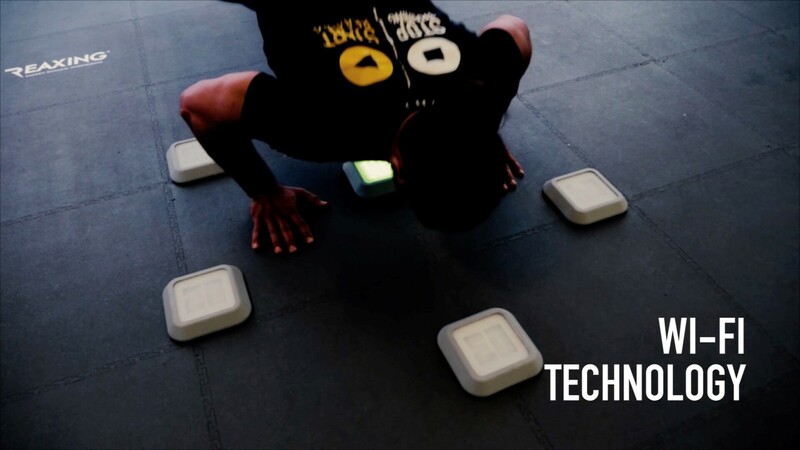 Pavigym 3.0 is an intelligent and interactive floor with integrated LED lights controlled by touch screen software, enabling trainers to design and track their training sessions. Ideal for kids and teenagers, this is the perfect item to help them get used to the gym. Works with the Xbox system, play while you ride! The original, best-in-class workout system that leverages gravity & bodyweight to perform exercises for strength, balance, & more. Developed to bring motivation and fun into fitness, while being immersed in a virtual reality world. Take the boredom out of stationary bikes and make an experience you will look forward to. Train for power, agility, endurance, & more. 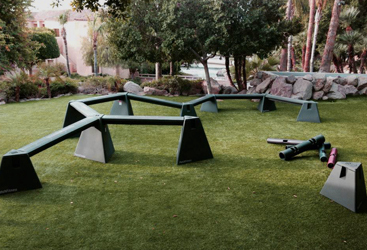 The tWALL 64 is the perfect size for kids yet is big enough to let two or three people play at the same time.